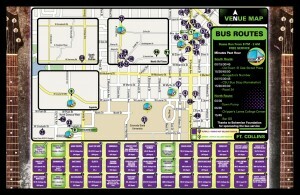 There will be FREE Bus/Van Service between venues both Friday and Saturday night. 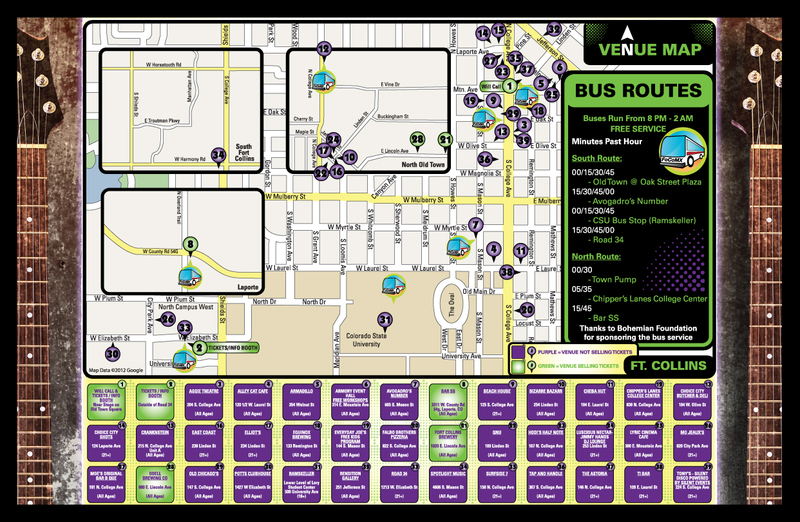 Buses will run from 8pm – 2am and will have FoCoMX signs on each bus for easy identification. A bus will leave each stop on the South route every 15 minutes. The North route will have a bus leaving each stop every 30 minutes. Thanks to Bohemian Foundation for sponsoring the bus service on the South route!